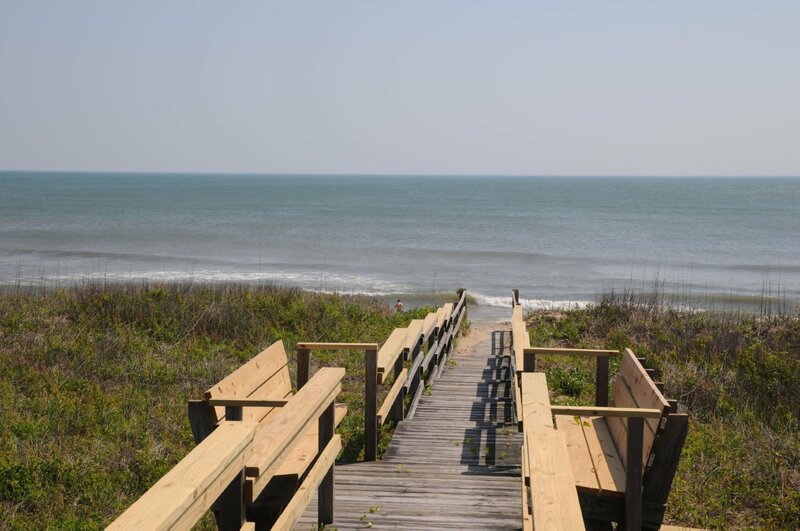 This lovely Oceanfront home is situated in the heart of the Beach & is convenient to many area attractions, including the Wright Brothers National Monument, Fine Dining & Shopping. Enjoy walks on the beach, relax in your own Hot Tub, or take a dip in the Oceanfront Swimming Pool that is shared w/ the adjacent unit. 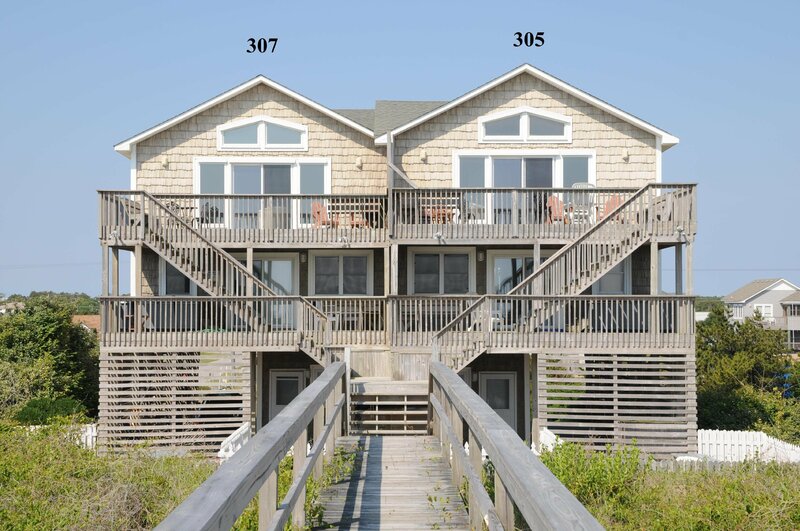 Spacious & very well appointed w/ all the Amenities to ensure an enjoyable vacation for your family, this home offers wonderful Ocean Views. This Home is a Duplex & Both Sides are Mirror Images of Each Other & have a Connecting Door in the Upstairs Living Area that can be unlocked to make this a Ten-Bedroom Vacation Home. 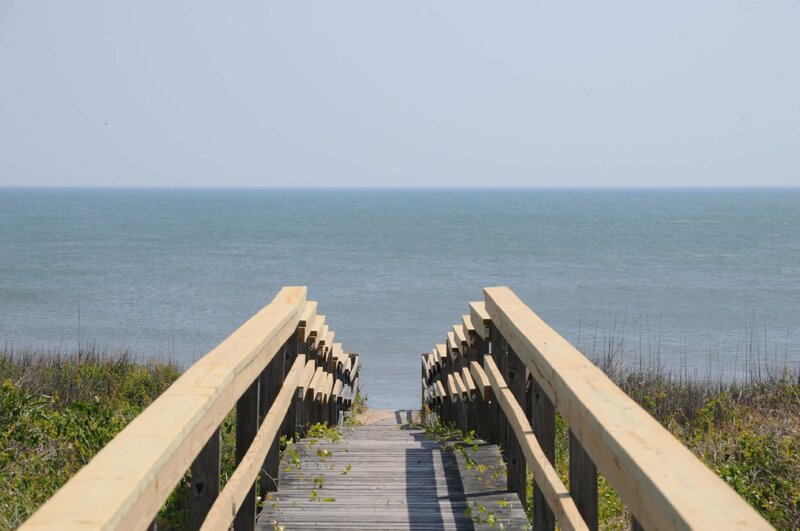 Full Access to the Outer Banks YMCA is Provided at No Extra Charge. 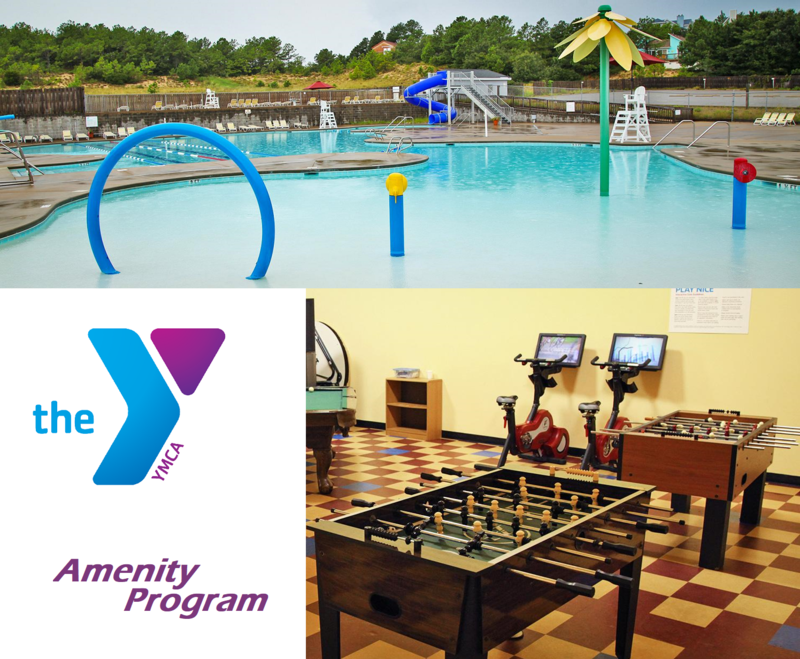 Includes Indoor & Outdoor Swimming Pool, Full-Court Gymnasium, Free Weights, Group Fitness Classes, Skateboard Park, & Much More! Ground Level: Parking for 4 Cars, Covered Entry, 1 Bedroom w/2 Daybeds, 1 Roll-a-Way, Full Bath, Laundry Area, Basketball Hoop, Semi-Private Swimming Pool, Enclosed Outside Shower, & Picnic/Grill Area. Top Level: Living/Dining/Kitchen Area, Flat Screen TV, DVD, Bedroom w/Queen & Full Bath, Sun Deck, Deck Furniture, & Boasts Great Ocean Views. 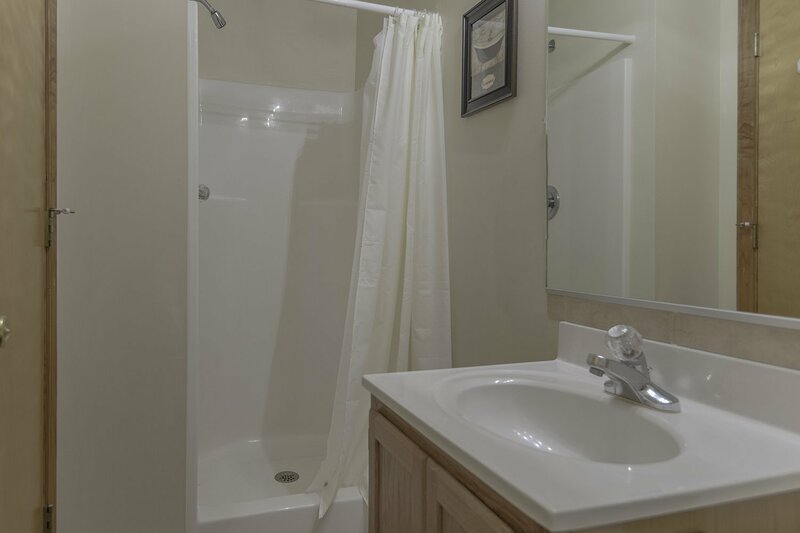 Features Include: C/AC & Heat, Washer/Dryer, Dishwasher, Microwave, 3 TVs, 2 DVDs, Wireless Internet, Stereo w/CD, Phone w/Answering Machine, Ipod Docking Station, & Pool & Deck Furniture. No Pets. This is a Non-Smoking Unit. Very well taken care of property. You can see that they are doing maintenance and updates. He said he was very likely to return and it was a beautiful home! She gave 4 stars and said the living room looks great!